Today on CTV Morning Live, in preparation for Mother’s Day, Sommelier Matt Steeves showcased some terrific wine and spirits that are guaranteed to be loved by Mom and certain to help put a smile on her face! Check out the CTV Morning Live video here. In addition to making mama happy, these wines are great for the May 2-4 long weekend too, which is the official kick-off to the BBQ season, as they’re sure to complement BBQ fare and your outdoor entertaining. The wines we’re showing today are wonderful for celebrating Mother’s Day with and they’re also perfect for Mom to enjoy on the patio with her friends, or with a book, or while chilling poolside. You can’t go wrong with diamonds or all-expense paid trips, but those tend to be a tad rich for most of us…so my recommendation is something every Mother is guaranteed to love, and maybe even share with you too…delicious wine and spirits, and we’ve got some great ones here today on CTV! And, as we get primed for more and more patio sessions, these wines are terrific options to enjoy for your patio dining as they complement the (lighter) foods we’ll be enjoying as summer gets closer and closer and winter becomes but a faint memory. You may notice we’ve got lots of white and rosé wines today, as I find these two styles of wine are ideally suited for patio season. In fact every wine we’re showing today is a patio-perfect wine. I’ve selected several Sauvignon Blanc wines from all over the world. Sauvignon Blanc is a super versatile style of wine that complements a wide range of dishes from salads, veggies, seafood, grilled fish, BBQ’d chicken, and one of my favourite general pairings, Indian, Thai, and Asian cuisine. Rosé is terrific all year round, and I find it complements the lighter foods we’ll be enjoying as summer gets closer and closer. Thanks to their fresh and light style, they’re terrific when served chilled in the summer sun. And guess what, practically everything pairs with Rosé which completely takes the guess work out of what to serve with it. And because a celebration is not complete without sparkling wine, I’ve got a unique sparkling wine to enjoy as you toast your mother this Mother’s Day. It’s from the Loire Valley in France, and it’s a Cremant de Limoux, made from Chardonnay, Mauzac, and Chenin Blanc. This bubbly makes a great base for a Polish 75 sparkling cocktail or the ever popular Mimosa with Mother’s Day brunch. We’re going to whip up a Polish 75 and let you see for yourself. Finally, like wine, mom’s love cocktails, especially before a nice meal. So, I’ve selected a few of my favourites which are relatively easy to make, which I guarantee that mom will love! I’ve selected two special spirits to make our cocktails with…Belvedere Vodka and Hennessy VS Cognac. A bit of luxury for mama, which she deserves in spades! 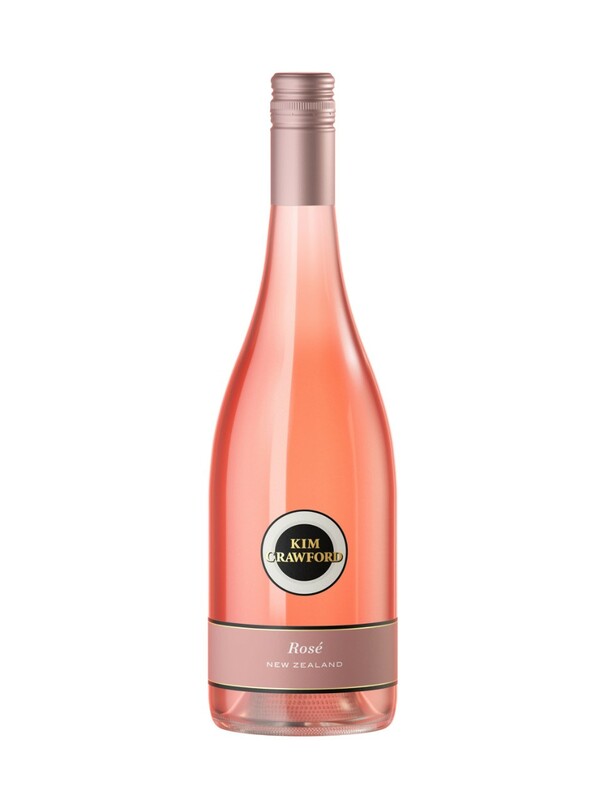 Here are my Sommelier recommended wine picks for celebrating Mother’s Day this weekend. Just happens that they’re also perfect for summer patio entertaining and will be wonderful for your May 2-4 long weekend activities too. Nobilo Sauvignon Blanc represents some of the best of what New Zealand has to offer, with fresh, vivid flavours that consistently showcase the diverse qualities of New Zealand’s Marlborough region. Nobilo Sauvignon Blanc can be found at the LCBO for $16.95. Try Nobilo Sauvignon Blanc with freshly shucked oysters… fantastic pairing! I love the experience and ritual of opening a bottle of wine to begin a meal and being reminded of how much I enjoy the wines from specific wine regions. In this case it’s California wines. Each time I open a Ravenswood wine that sentiment comes to mind and I enjoy each and every sip as much as I did the first. One of many examples of why I love California wines for their consistent quality and approachable style, each and every vintage. Iconic California Zin producer, known as the “Godfather of Zin”, Joel Peterson of Ravenswood, has been crafting some of the finest Zin for nearly four decades now, and their Lodi Old Vine Zinfandel is a terrific value-priced example of the delicious wines they craft, which are loved by all! When I was researching wines to recommend for Mother’s Day celebrations this year I though why not recommend some craft cocktails too. With craft cocktails becoming increasingly popular these days, and therefore much more common to find on the menus at your favourite (non-chain) restaurants and bars than only a couple years ago. Given the spike in cocktail popularity, now when I visit a restaurant I find I check out the cocktail menu before exploring the food menu, perhaps as a way to assess how serious the establishment is with their drink menu, and likely with their food menu too. It never fails, when a restaurant has a dynamite cocktail menu, attentive to detail, I find that reflects the quality of their food equally. Whether it’s at restaurants like Ottawa’s Riviera or UnionLocal613, where craft cocktails are not to be missed, moms are asking for and enjoying delicious cocktails when they go out so it’s nice to be able to treat them to a craft cocktail from the comforts of your own home. The following cocktails are delicious and easy to make. With only a few ingredients you too can whip up these premium cocktails and treat mama with something extra special this Mother’s Day and throughout the rest of the summer. Cheers! First off, it’s tough to make a delicious craft cocktail without a great base. Today I’m using Belvedere Vodka, one of the purest and most renowned premium vodkas available, as well as Hennessy Cognac, another storied premium spirit that’s incredible as a base in cocktails. Belvedere Vodka is the original and true expression of luxury vodka, created from 600 years of Polish vodka-making tradition. Created exclusively from Polish Dankowskie Rye and quadruple-distilled to create the perfect balance of character and purity; it is completely free of additives, including sugar or glycerin. Dilution with purified water from Belvedere’s own artisan wells is essential, enabling the character of the rye to shine. Perfect on the rocks, in a martini or breathing character to any cocktail. Belvedere represents the pinnacle of vodka making tradition. Zero additives, gluten free, naturally smooth. The world’s most popular Cognac, Hennessy VS is the modern-day equivalent of the original Hennessy 3-Star. It is an expression of expertise and consistency, centuries in the making. Intense character and full-bodied flavours of toasted almond, fresh grapes, and citrus zest make this ideal served neat or in a cocktail. Age: Hennessy VS is a blend of about 40 different eaux-de-vie from the Bois ordinaire, Bon Bois, Borderies, Fins Bois, Grande Champagne and Petite Champagne appellations that are aged 2 and a half and five years in French Limousin oak barrels. Add all ingredients to a mixing glass with ice and stir until chilled. Strain into a chilled cocktail coupe or rocks glass. Garnish with a cherry. And with May 2-4 long weekend fast approaching, here are some of my BBQ wine pairing tips that will help you with your May 2-4 adventures and throughout the summer. May 2-4 long weekend is a great time to get together with friends, fire up the BBQ and enjoy some refreshing wines. Although beer is a great choice when the temperature is sky rocketing, wines offer terrific food pairing options and knowing the right wine to pair with the right food is the key to ensuring perfect pairings, all summer long! Here are my top 3 pro tips for making terrific wine and food pairings. If you can remember this one simple rule of thumb you’ll be well on your way to creating perfect pairings all summer long. Match the colour of the food with the colour of the wine. Examples include: pale gold colour white wine (like Sauvignon Blanc) with white fish, or fresh summer salads with asparagus and goat cheese; golden white wines (like Chardonnay or Semillon) with roasted chicken or corn on the cob; rosé wines and Pinot Noir with seared tuna steak, salmon, charcuterie, or pork tenderloin; red wines with red meat (pair pork with lighter reds (like Pinot Noir or Gamay) and beef with more robust reds such as Malbec, Shiraz, Merlot, Cabernet Sauvignon, Chianti (Sangiovese), Rioja (Tempranillo), or Zinfandel). This is the most basic tip, and one that professional sommeliers would out of spite laugh at as they love doing exactly the opposite, finding interesting pairings with completely opposite colours and styles like Champagne and steak for example. That being said, it’s an easy guide to help, especially if you’re completely lost for what to pair with a certain food or wine so don’t hesitate to use that basic guiding principle if needed. Pro Tip #2: CHILL IT! When enjoying wine outside in the heat of the summer, chill it first. That’s right, chill not only your white and rosé wines, but throw your red wines in the fridge or place them on ice before service to ensure they’re kept cooler than ambient temperature. Pinot Noir should be served around 10C-12C and big red wines should be served around 15C. If those wines get warm, they won’t be as refreshing as they otherwise would have been had they been properly chilled prior to service. Chilled Pinot Noir and Gamay, in the summer, are terrific wines to enjoy with grilled fish, burgers, or pork tenderloin. By keeping them slightly chilled the wines are going to be super refreshing and ideally suited with BBQ fare. Instead of pairing your wines just based on whether it’s fish, chicken, or beef, think of what sauce you may be placing on it and try to match the characteristics of the sauce with that of the wine (eg: sweet and spicy BBQ sauce on beef or chicken commands a wine with characteristics that are equally intense and that will stand-up to the sweet and tangy BBQ sauce), whereas lemon on fish or chicken pairs best with crisp white wines such as unoaked Chardonnay, Sauvignon Blanc, or Pinot Gris. Be mindful of the sauces you’re adding to your meat. Simply using salt and pepper is a great way to season fish and beef. Typically that will make the most options for wine pairing, whereas adding high sugar sauces such as BBQ sauce will make any dry red or white wines taste sour, so think ahead when planning your wine and food selections. I’m a big fan of tangy BBQ sauces so I tend to reach for full bodied, slightly sweet white and expressive red wines which work out terrific. Examples include: slightly off-dry Riesling (like the Rosewood Süssreserve Riesling) and Chenin-Blanc, or Zinfandel and Primitivo (same grape!) for the reds. These wines complement sweet and tangy foods perfectly! If reaching for a beer, Porter, or Russian Imperial Stouts offer great pairing for rich and tangy BBQ fare.